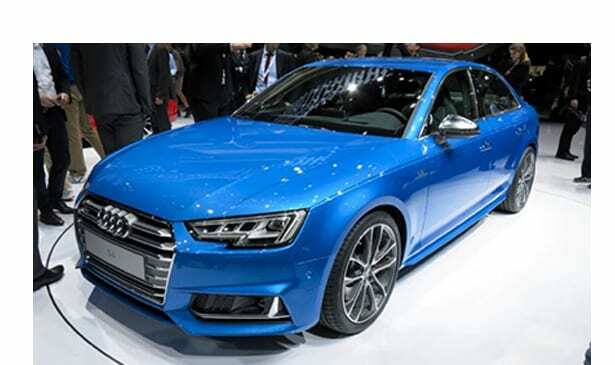 The 2017 Audi S4 VT6 is designed to make a scene among luxury sports sedans. This edition features a sleek redesign that includes dynamic contours and premium sports details. Starting up the engine will immediately let you know what’s brewing under the hood, thanks to the turbocharged 3.0 liter, TFSI V-6 engine and eight-speed transmission. The turbocharged engine yields 369 lb-ft of torque and provides virtually instantaneous response. The sport adaptive damping suspension enables the damping characteristics that help make up the Audi drive select mode, which gives the car enhanced handling, comfort and sports capabilities. This standard feature offers four distinct drive modes so that drivers can modify various vehicle performance characteristics that best fits the driver’s driving style. The new S4 is just as impressive inside as it is under the hood. It features 12-way power front S Sport seats. The seating is designed with four-way power lumbar adjustment and a massage function, just in case it’s needed. Adjustable side bolsters provide both comfort and support. The three-spoke steering wheel offers plenty of features. The leather-wrapped wheel is designed with shift paddles and the S badge. It’s flat-bottom design allows the driver to be fully in control, while still riding in style and safety. The Audi Smartphone Interface is one of a kind. This standard feature enables Apple CarPlay and Google Android Auto integration, enabling access to many of today’s smartphone features such as: navigation, telephone, music and select third-party apps.